Toshiko soon grew restless and moved to Tokyo, where there was an active jazz scene. One thing led to another, and she started her own group in 1952. “It was an exciting time. Many jazz giants were touring Japan, and many of the would stop by the club, and we’d play together.” It was through these musicians that she learned about the Berklee School of Music in Boston. In 1953, during Norman Granz’s JATP (Jazz At The Philaharmonic) tour of Japan, Toshiko was spotted by Oscar Peterson, who told Granz she was “the greatest female jazz pianist” he’d ever heard. This lead to Toshiko’s first recording, accompanied by Peterson’s rhythm section. Later she was accepted at Berklee, and travelled to the U.S. for the first time. 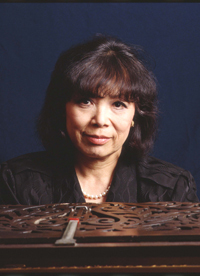 Eventually, Toshiko went on to record a number of albums as both a solo pianist and with small groups. In 1973, with the help of Lew Tabackin (to whom she was now married), Toshiko started up what she then thought of as a “rehearsal band”, which ultimately became the Toshiko Akiyoshi Jazz Orchestra. 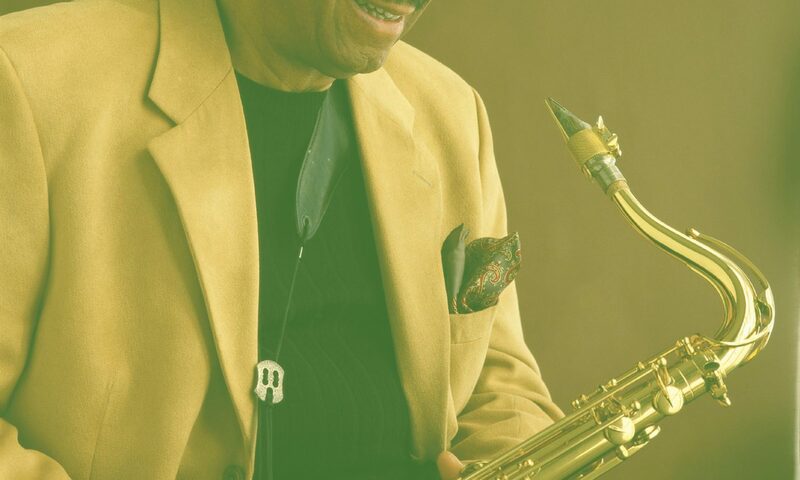 This orchestra has since gone on to obtain nine Grammy nominations (Toshiko was also nominated three times as Arranger), and has earned top place numerous times in Down Beat and other major jazz polls in the U.S. and abroad. The Toshiko Akiyoshi Jazz Orchestra’s first album, Kogun, is recognized as one of the best selling big band jazz albums ever. Since then, 11 albums have been issued on RCA, JAM and Toshiko’s own label, Ascent; these include Tales of a Courtesan, Wishing Peace, Farewell to Mingus, European Memoirs, and Insights. Her work has also received two silver and two gold awards from the prestigious Swing Journal of Japan. Today Toshiko Akiyoshi and Lew Tabackin live on the upper West Side of New York City in a brownstone. When they’re not touring, they stay at home working on their music (he practices in his basement studio, while she practices and writes upstairs). Their other passions are their wine collection, and keeping up with their favorite sport, baseball.